The famed Le Mans 24 Hour race in France is the destination for Malaysia’s leading international racing driver, Jazeman Jaafar. He and his two teammates, Weiron Tan and Nabil Jeffri, will make history when they become the first all-Malaysian team to race at the biggest racing spectacle in the world, and arguably the toughest race in motorsport. The Le Mans 24 Hour race may only be 24 hours of racing, but the build-up to the event is a week-long affair. Jazeman travels to the circuit one week before the green flag flies for the start of the race on 16thJune. The official scrutineering starts on Sunday in the town centre. This is a popular spectator event, attracting huge crowds for the first showing of all the teams and cars competing in the historic event. Preparations continue with a drivers’ autograph session on Tuesday, followed by practice and qualifying sessions on Wednesday and Thursday. A pit walk and drivers’ parade on Friday precede the 3pm (local time) green flag for the start of the 86th 24 Heures du Mans. Jazeman will be driving the #37 Jackie Chan DC Racing Oreca 07-Gibson LMP2 race car with Weiron and Nabil, with the trio sharing the driving duties in this arduous, ultimate endurance racing challenge. 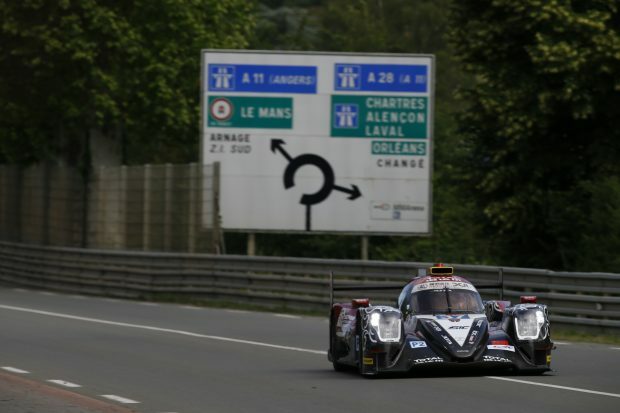 This year’s grid includes two Formula 1 World Champions, Fernando Alonso and Jenson Button, Indy500 winner and former F1 driver, Juan Pablo Montoya and former F1 drivers, Pastor Maldonado and Paul di Resta, all of these drivers are also Le Mans 24 Hour race rookies. Of the challenge ahead he adds, ”The team has all the ingredients for success, with a highly professional set up, front-running cars and a team of drivers who have a mix of ambition and youth. We’re up against a very strong field, however, with the race being the ultimate endurance event for cars, teams and drivers, it needs everything to come together and stay together for 24 hours to be in with a shot of success. Jazeman is keen to build the fanbase for endurance racing in Malaysia and has filmed an exclusive preview of the 24 Hours of Le Mans that will air soon. Watch out for the FOX Sports In Focus with Jazeman Jaafar and follow him on social media for regular updates.